Welcome to Hidden Lake Estates! 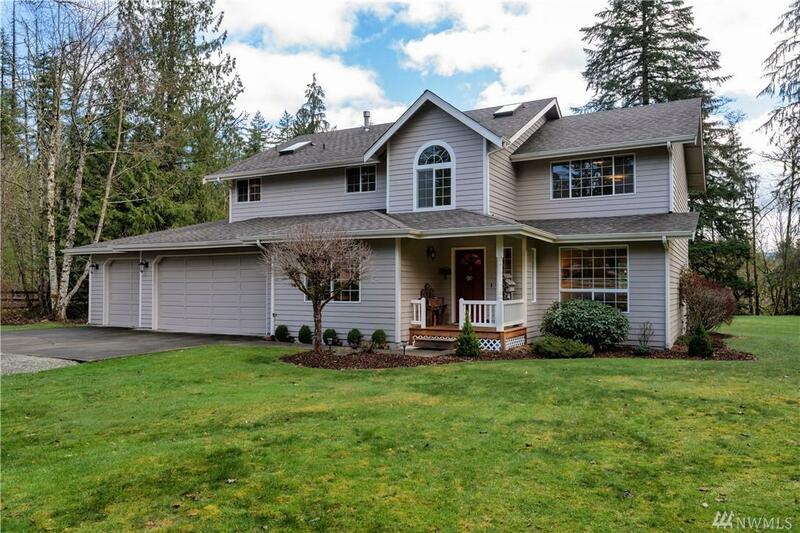 This custom built 3 Bdrm + Den/2.75 Bath home is tucked up adjacent to Seattle watershed. 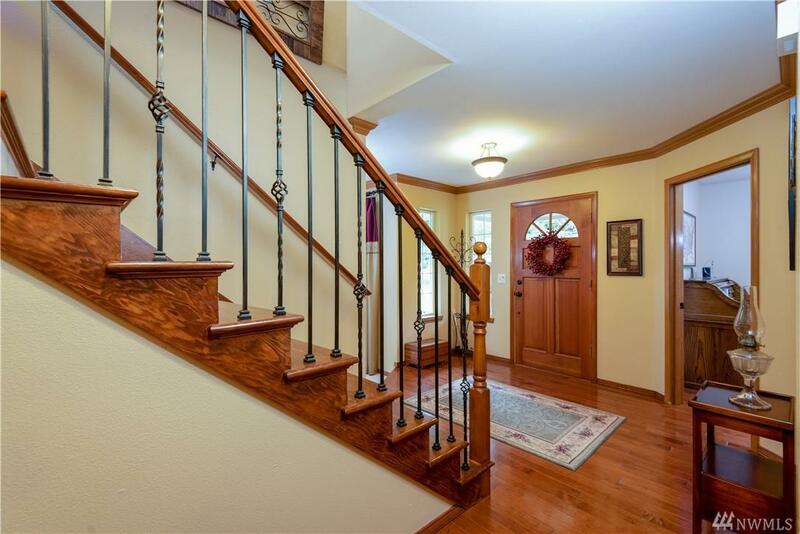 It features a stunning entry highlighted by rich hardwood floors & trim. 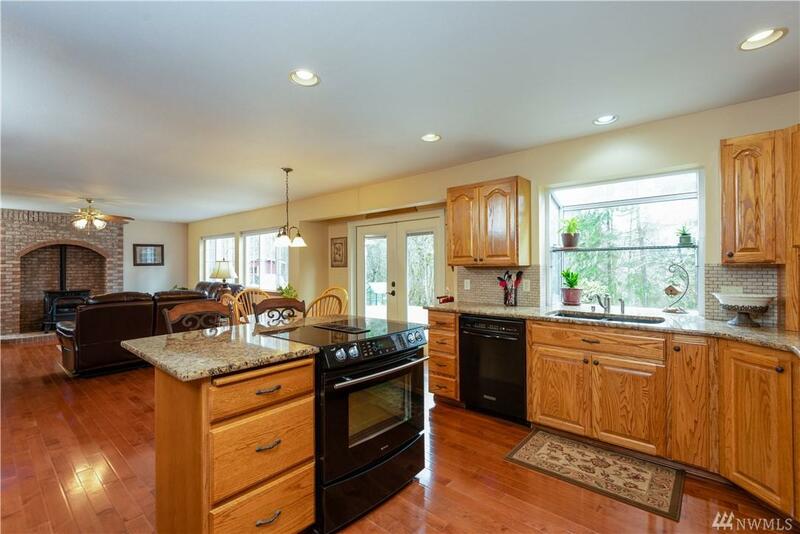 Enjoy a Large, open Kitchen w/granite counters & Island. Three spacious bedrooms w/possible 4th bedroom/office on main + Bonus room. The Master Bedroom features a spa-like En Suite & custom walk in closet. 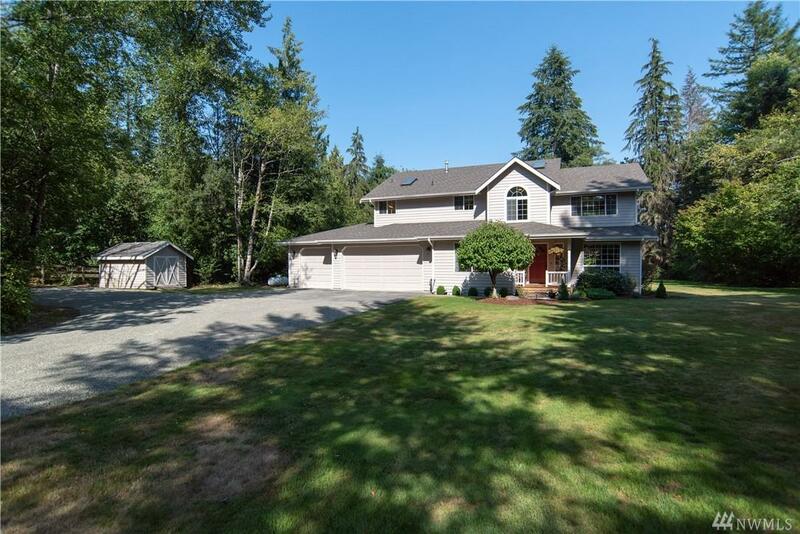 Attached 3 Car Garage, fenced paddock & 2 stall Barn w/tack/feed room or possible shop/storage.